High on my list of bands that I would love to have seen live are The Specials. 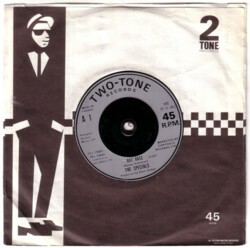 There are some real cool video’s of The Specials on YouTube, and all the live recordings that I heard are exciting. I don’t know why I have missed them. They have played in Amsterdam more than once, if I am correct, and I liked their records very much from the very beginning. 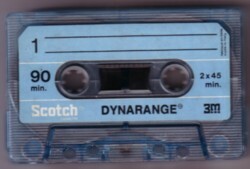 Among the tapes that Dirk lend me, is one with a concert that The Specials did in 1981, in the Edenhal, Amsterdam. Well, it is not a complete concert, it is about 20 minutes. On the same tape are Madness, who seemingly played after The Specials on the same stage. The band was not in a good mood, but they played brilliant nonetheless. No songs that are not already on other records/bootlegs, but here is a nice version of Rat race . And lucky me, I have one of the twelve copies sold in Holland. No idea where this recording comes from; the sound quality is a bit poor, but Dirk used a cheap tape and I doubt if the tape has been played in the past 25 years.